Many people feel that a separate laptop compartment is an important feature of their carry on luggage. I think that they could do better. 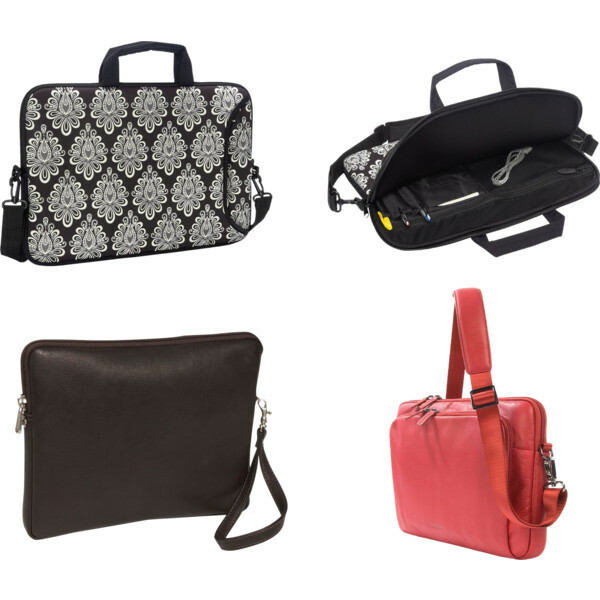 Laptop compartments add unnecessary and unneeded weight to carry on bags. Worse – they can’t even protect the computer when you arrive at your destination. Fortunately, there’s a superior solution to this problem and it is relatively inexpensive and light. Here’s a short history for you. Laptop compartments were designed for a very specific environment and application. Originally, small bags with laptop compartments were designed for students and business people. The bags contained the features needed for an 8-12 hour day and nothing more. The people using these bags were frequently accessing their computer as they moved from place to place. The weight of the computer compartment wasn’t an issue because the bags were day bags – they were small and relatively light. Luggage makers noticed that people were bringing their computers with them on travel. The marketers thought that a computer compartment would be a great “value added” feature for their full sized carry on bags. They convinced the public that a padded computer compartment was necessary – without ever thinking about how it would be used or how it would impact the traveler. Many times these bags have an excess of padding to protect the computer. More is better, right? Computer compartments add 1-2 pounds (0.5 – 1 kg) to a carry on bag. Worse – you can’t get rid of that weight when you travel without a computer – the zippers, padding, and extra material are always a part of the bag. The bigger problem is how the compartment is used. A full sized carry on bag transports all of your stuff from place to place. It is heavy when compared to a day bag. Most people don’t take their main bag on day trips because it is several pounds heavier than a day bag. This raises a big question – how are you going to carry your computer during the day? Are you going to cart it down to the cyber café in your carry on? Most people won’t do that – they’ll take the computer out of the compartment. At that point the computer is unprotected. This will also happen if your carry on is subjected to a forced gate check. How will you protect your computer if there is no room in the overhead bins? Many people solve this problem by bringing a second day pack with a computer sleeve just for this purpose. That means you are now carrying the weight of two bags when you travel – your carry on and your personal item. You’ve added 2-4 pounds (1-2 kg) to your luggage weight! It also doesn’t help you if you are traveling on an airline that allows one and only one bag. Yes, you can store your personal item in your main bag but it is big and bulky because of the excess padding and straps. There’s a better solution for this problem – a laptop sleeve. Unlike the overstuffed computer backpacks, the computer sleeves have “just enough” padding to protect the computer. The sleeve protects your computer during travel and you can carry it around during the day. You can leave the sleeve at home if you decide to travel without your laptop. You only bring the sleeve if you bring your computer on travel. These computer sleeves are light and portable. There is room for the computer and other work items. The tablet sleeve on the bottom left may also be used as a purse. The sleeve on the bottom right is professional enough to take to a work meeting. All of the sleeves easily store in the outside pocket of your carry on bag. Why is a computer sleeve superior? It is portable – I can take my computer anywhere knowing it has protection. It works with any kind of bag. The sleeve transfers from one bag to the other while providing protection for the computer. This means I can bring a lighter carry on bag and a lighter day bag. A computer sleeve lets me travel with one and only one carry on bag. I don’t need a personal item for my computer. It reduces the total weight of my bag. I only carry the sleeve when I’m carrying my computer. I can store my computer in multiple places in my bag. I can put it in an outer pocket of my luggage for security checks. I can move the computer to an inner lockable compartment when I want greater security. This is especially nice if I’m storing my computer in my hotel room. None of my carry on bags have a computer compartment. I’m not willing to carry that extra weight. Occasionally I will bring a messenger bag when I have business with long, long (10+ hour) days at the office. On regular trips it is the computer sleeve for me! Cindy, I know life gets complicated sometimes and writing is often put aside. However, I am so glad you are blogging again. I have missed your insightful posts regarding hand carry business travel. Welcome Back! Thanks Lynne, Last year was full of all sorts of distracting activities, including a 5 week long one-bag trip to South America. It’s time I fulfilled the promises I made on posting articles! Like your blog. I absolutely agree with you, that is exactly the way me and my family travel. I am about to design a travel backpack and would love some feedback on what features you really want.